News reports are one of the sharpest weapons in cold wars. Because of this, today the necessity for research in to a news reports validity and the degree of its deviation in clear for everyone. This necessary research, especially on the first Islamic narrators who in fact are the reporters of that very sensitive era, has an elite and great importance. 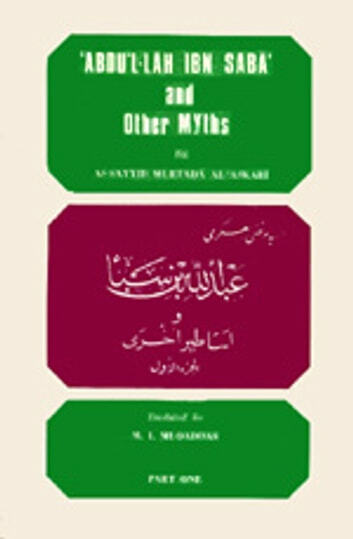 On this matter the esteemed researcher and honourable writer of this book, in it's preface says: Today it's nothing other than simple mindedness and error to hear the sensitive news of the beginning of Islam, which sometimes faith and belief relied on it, with complete optimism to the authorities and narrators affiliated to them, and sincerely and truthfully without any investigation, put faith and wisdom at this groups disposal. Investigation of a news report or reporter, and distinguishing the degree of his affiliation and the amount of aim, is not a local or limited investigation which makes clear only one point of history and only looking at one field, but this research, in truth is a bubbling brook of knowledge which makes a lot of arenas clear for us and uncountable scenery which by means of this news report has become dark and gloomy is veiled by the curtain of ambiguity. And this main and valuable job is just this that now the noted scholar Mr. Askari, in this book, about some of the special narrators has worthily taken the responsibility of, and in this manner brings out darkness and ambiguity the extent of suspicious events and obvious history stories of the beginning of Islam. The notable author expresses in the preface of the book that. "Those who like old women believe their tales and give belief to historical writings don't read this book." Once again he repeats these words in reply to the criticisms of the Egyptian magazine " Al-Zahar. "The author, in the preface, says this, this research book for seven years after its compilation was wrapped up and put aside, and no one knew about it other than a handful of intellects until sentiments grew. Finally, he felt announcing the troth and clearing thoughts was necessary, printed the book and put it at the publics' disposal. In truth, this book is the progenitor of these sort of books by the name of "Derasat fe al-Hadith wa al - Tarikh" and now in this chain there are a few more books in Arabic text published by this Islamic researcher; Like one hundred and fifty fake bookbinders - "Khamsoun wa Mi'at Sahabi Mokhtalaq". It is only natured that intellects and researchers have taken a great interest in this book and this has caused debates, criticisms and questions to arise. The esteems author, at the beginning and end of the next publication, how put some of these questions and criticisms along with their answers as the publics' disposal, and these are also in the translation. There is an interesting debate at the beginning of the book on the chain of Islamic historians and their method of transferring news from one to another, so a background will be found for the origins of thoughts and news at the end of the book. We observe a list of some of the main historical and Islamic tradition writers in accuracy with the successive compiling dates. The news reporter or narrator investigated in this book is a person called " Saif Ibn Amro al - Tamimi " year of demise 170 Hejrat and has two books on first Islamic events called "al - Fotouh " and "al - Jamal". These two books have been used abundantly in some other well known historical origins and especially traditions from them have been used especially in the history of Tabari. Then the reports in these two books by means of this famous origin find their way into the writings of many historians and writers of the next era and gain considerable fame. Meanwhile, especially the story of Abdullah Ibn Saba and the Sabaieh group who for the government assistants of that time were sweeter and had more public fame. And of the debates brought forth in this book about news reports and narrators are: a debate on the story of Saghifah and how the caliph was chosen after the Prophet (s.a.w); a debate on the committee and swearing allegiance with Othman; a discussion on the "Raddah" war, which after the Prophet (s.a.w), happened between Tribes and creeds with the accusation of turning from Islam, etc..